Thank you to the First Ontario Credit Union! 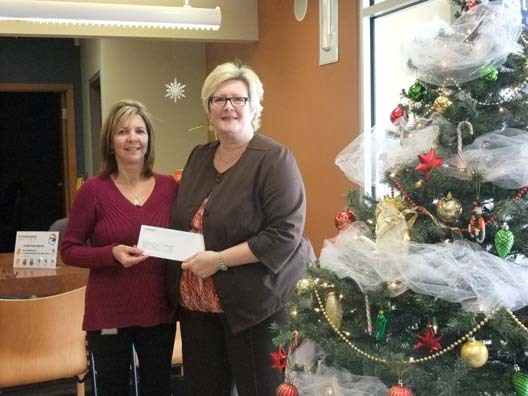 Staff at the First Ontario Credit Union, Simcoe Branch have generously donated $500 toward our Children’s Christmas Party on Sunday, December 1st. Their staff participate in Dress Down Fridays throughout the year to help charities in the community. We are very appreciative of their ongoing support. Pictured are Annette Martin, Branch Manager and Shari Gardener of the CAS. Thank you to Giant Tiger!